Google is celebrating the second birthday of the Chromecast, and the company is giving current and future owners of the streaming device some freebies. Google is celebrating the second birthday of the Chromecast, and is giving current and future owners of the streaming device some freebies. It’s giving away a free movie rental and three months of unlimited streaming music. 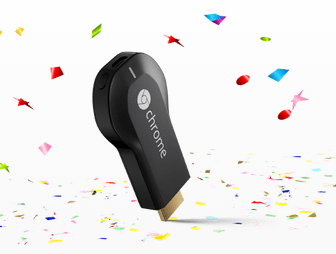 To celebrate the second birthday of the Chromecast, Google is giving owners a couple of promotional offers. First, you can get a free movie rental from Google Play Video. The second offer is access to 90 days of unlimited music streaming via Play Music. Even if you currently don’t own one, you can still get these bonuses when you buy a new Chromecast. To get the free movie rental, you need to purchase and set up your Chromecast by 12/31/2015. To get the free 90 day trial of unlimited music from Google Play, you need to redeem it by 1/31/2016, which gives you an extra month for the music. Google routinely gives Chromecast owners free trials and offers for different services. We showed you how to check your Chromecast app for free offers, and you can also find them on the web. If you’re new to the Chromecast, make sure to read our article on Chromecast tips and tricks. Also, for more news, tips and tricks to get more out of Chromecast, take a look at our archive of Chromecast articles. Thank you for the treat! For those who live outside US like me, you can access Netflix, Hulu and similar media stations on yourChromecast by using UnoTelly or similar tools.